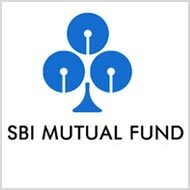 SBI Small Cap Fund is an open ended small cap equity diversified fund. It is benchmarked against S&P BSE Small-Cap - TRI. The fund has an AUM of Rs 809 crore as on 31st May 2018 which has increased by Rs 118 crore as compared to last year 31st May 2017. The fund has outperformed its benchmark in all time periods. It has outperformed the equity diversified category average in all time periods except in the year – to – date period (YTD) and 6 month period. This is because in the last 6 months mid and small cap stocks have seen a sharp correction relative to the large cap stocks – which has worked against the fund. In terms of the calendar year returns the fund has outperformed its benchmark in all calendar years except in 2013 and 2016. It has generated higher returns than the equity diversified category in all time periods except in 2016. Risk: In terms of measures of risk such as Standard Deviation (measured over the last 3 years) the fund has taken equal risk as compared to the category median and in terms of Beta (measured over the last 3 years), the fund has taken lower risk compared to category median. Risk-Adjusted Return: In terms of Treynor and Sharpe ratio (measured over the last 3 years), the fund has provided higher risk-adjusted returns than the category median. Sector concentration: The fund’s concentration in the top 3, 5 and 10 sectors is higher than the category median. Company concentration: The fund’s concentration in the top 3, 5 and 10 companies is higher than the category median. The fund currently holds 29 stocks in its portfolio, which is lower than the median stock count for the equity diversified category, which currently stands at 50. In the last 5 years the number of equity holding averages at 28. Its cash equivalent for April 2018 was 0.99%. The average cash allocation for the last five years is 5.84%. Its maximum allocation to cash over the last two years is 19% in January 2018 and lowest was 0.98% in January 2016. The top 5 sectors include Engineering - Industrial Equipments, Consumer Food, Miscellaneous, Engineering – Construction and Chemicals. In the last 6 months the Fund has bought Axis Bank Ltd., Camlin Fine Sciences Ltd., Deepak Nitrite Ltd. Ashiana Housing Ltd., LT Foods Ltd., Disa India Ltd., Pilani Investment & Industries Corporation Ltd., Galaxy Surfactants Ltd. and Alembic Ltd. and the stocks of Gabriel India Ltd., KCP Ltd., Atul Ltd., Solar Industries (India) Ltd., Capacite Infraprojects Ltd., Graphite India Ltd, AU Small Finance Bank Ltd., Bajaj Finance Ltd., Sheela Foam Ltd., Gravita India Ltd., Divis Laboratories Ltd., V2 Retail Ltd. and Greenply Industries Ltd. have been dropped from its portfolio. The scheme would invest 65%-100% in equity and equity related instruments of small cap companies and 0%-35% would be invested in equity and equity Related instruments of companies other companies. 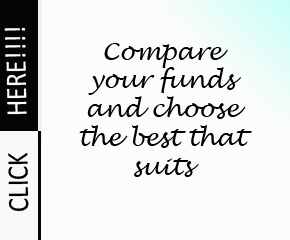 The scheme follows a blend of growth and value style of investing. The scheme will follow a bottom-up approach to stock-picking and choose companies within the small cap space. The exposure will be as per limits/classification defined by AMFI/SEBI from time to time. Mr. R. Srinivasan serves as the Head of Equity and Senior Fund Manager of Equity at SBI Funds Management Private Limited since June 2011 and May 2009, respectively. Mr. Srinivasan has worked with Future Capital Holding, Principal PNB, Blackstone, Indosuez WI Carr and Motilal Oswal, among others. He has an experience of several years in equities. Presently, Mr. Srinivasan is the Fund Manager for SBI Equity Hybrid Fund (equity portion), SBI Focused Equity Fund, SBI Tax Advantage Fund – Series I, II, & III (equity portion) and SBI Long Term Advantage Fund – Series I to V (equity portion). Mr. Srinivasan is a Post Graduate in Commerce and received a MFM degree from the University of Mumbai. The fund recently opened up for SIP and STP investment with a cap of 25,000. As per the new SEBI classification the fund is classified as a Small Cap Fund. The fund maintains a concentrated portfolio to small cap stocks. The fund can be recommended for aggressive investors. The fund has an excellent track record – mainly due to the good stock picking skills of the fund manager in the small cap space. The fund was closed for fresh investments but has recently opened up for SIP investments upto Rs. 25,000 per month. We suggest this as part of an aggressive investor’s small cap allocation.